Yeah. 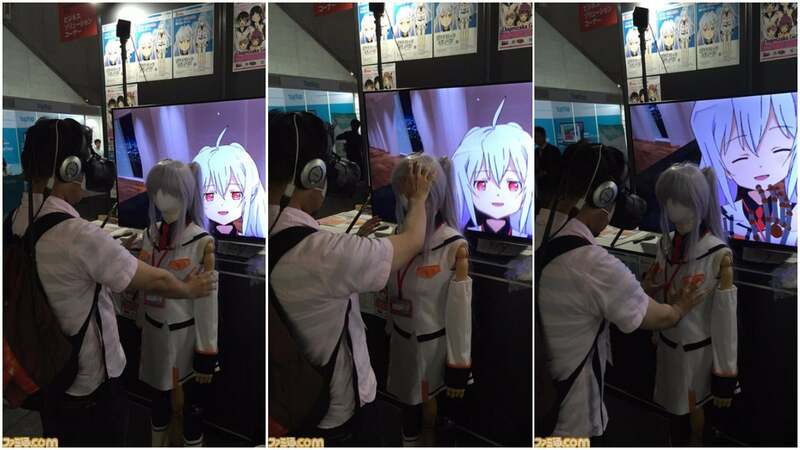 The character is Isla from Plastic Memories, and according to Famitsu, this demo was only slated to be offered during the two business days and not during the public ones. The point of the demo was for folks to interact with the character in the virtual space, with the mannequin making it possible to touch the character, causing her to react. But yesterday, the developers announced that they were truly sorry because they discovered the previous night that the contraption was no longer working, and that it wasn't currently possible to use the touch sensors. Can't wait until things go so far that fondling a virtual person will get you in trouble with the law. No fun allowed huh? If fondling an NPC is too much then I'd really like to see the rap sheet from playing GTA. I'm sure it will be triggering to someone, somewhere... Just like that dude who was harangued just because he wore a Donald Trump hat to uni. "You can't wear that here: it's a safe space!" LOL.